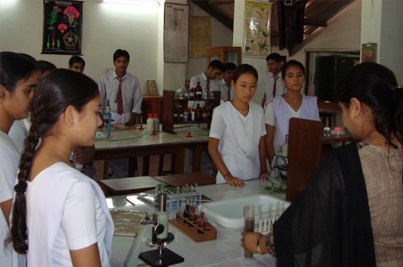 Unlike most schools, where students visit the laboratories only once or twice a week, here most Science Classes are conducted in' teaching laboratories'. In addition to Physics, Chemistry, Biology and Geography laboratories, the School has three Computer Labs with high end machines for children to perform their practicals. To enable students to acquire good communication skill in English Language. The school is also equipped with ELL (English Language Lab).